Advis provides healthcare management consulting to solve the complex challenges of your healthcare organization. Healthcare is constantly changing and we know that isn’t going to change. For strength and survival, providers must be flexible to change, be able to adapt and improve operations in response to the demands of the industry. At Advis, we’re helping hospitals and healthcare providers get through the challenges of today, we’re showing paths of adapting healthcare strategy to prepare for the future through the introduction of new services and revenue streams. Congratulations to Amanda Bogle and Michael French! Advis promotes 340B Healthcare Experts to Senior Consultants! click here! CEO Lyndean Brick gives her expert input on commercial ventures in Modern Healthcare. click here! LTACHs, Rehab and Psych Hospitals! Expand Services. Create New Revenue Streams. Timing is Everything! Start Planning Today.click here! Tidying Up Provider Enrollment & Credentialing. Read more here. At our heart, it’s about building relationships. In our world it’s not about teams and partnerships, it’s about relationships and care. Your mission is our mission. We’re accessible. We’re responsive. What is bothering you is bothering us. Together we’ll forge a solution. And we won’t waste time getting there. We approach everything with care. We provide deep thinking, direct answers, technical expertise, exceptional service and unsurpassed accessibility that gives our clients peace of mind. 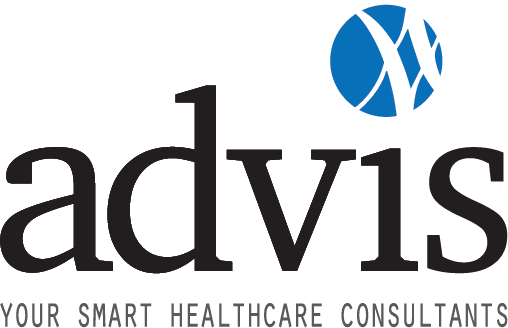 At Advis, we bring our medical consulting experience and talent to provide you with strong advice and vision for all your healthcare consulting needs. It’s in our name.